Contactless Smart Credential Readers support ISO 14443/15693 standards. Data Capture Device has magnetic card/RFID/barcode readers. Payments Terminals support end-to-end encryption. 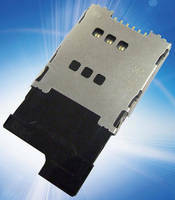 Low-Profile, 6-Pin SIM Card Reader features tray function. Personal Digital Assistant runs Windows Mobile 6.5 OS. 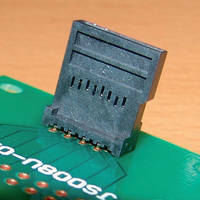 Card Reader mates vertically on PCB. Model PJS008U-3000-0 manual microSD Card reader mates at 90Ã‚° angle to PCB and is security fixed with positioning pins and DIP connection. Requiring 4.97 x 12 mm of space, product features gold-plated contacts that support 10,000 mating cycles. Unit is also protected against external impact and supports applications such as wireless communications and portable computers.